I am enjoying seeing TCM fans coming on and dedicating a film. I saw the former NYC cop with "King Kong" last night and enjoyed both the dedication and seeing the film again. I saw the fan dedication of "Bullitt" by a woman for her car loving father. I would dedicate it to my late father. He and I did not always agree on movie taste since he liked mostly war movies and I did not see too many of them. However he got into this one, he never said a lot but did remark "Hey, good picture!" This film is my favorite of all war films, Kirk Douglas is great as a combat officer who is given an impossible mission by his superiors. Three soldiers are accused of cowardice and put on trial, they are played by Ralph Meeker, Joseph Turkel and Timothy Carey. Stanley Kubrick's direction is brilliant, the trench scenes are the most realistic battle sequences I have ever seen in a film. Adolph Menjou and George Macready are excellent as the cold hearted generals. Douglas and Menjou have a explosive scene near the end. The final scene is a touching moment as a captured German girl sings a plaintive song to a crowd of initially hostile group of soldiers who are driven to tears by her fear and innocence. Detective Jim, I'm embarrassed to admit, I'm not really up on the "fan dedication" thing TCM seems to be doing this month. I haven't seen any of the intros. Can you direct me to a link on the TCM website here that explains what's going on with this, what the concept behind it is (although yeah, I can kind of figure it out), etc.? I've noticed they're doing this but I feel as though I somehow missed out on the starting gate, so to speak. Thanks. I am enjoying seeing TCM fans coming on and dedicating a film. I saw the former NYC cop with "King Kong" last inght and enjoyed both the dedication and seeing the film again. I saw the fan dedication of "Bullitt" by a woman for her car loving father. I agree, Paths of Glory is a great film, and would definitely belong on any programming that honours movies to be remembered. I think it's so good, I own the DVD (on Criterion, no less !) It's Stanley Kubrick's best film, in my opinion. Everything about it is well-done, from the editing and pace (you can't take your eyes away from it), to the fine acting, especially on the part of Kirk Douglas and Adolph Menjou, to the frustrating story-line (every time I watch it, I want Macready to change his mind about the sacrificial soldiers idea), to, as you say, the touching final scene. Thanks for mentioning this outstanding movie. EDIT (again !) : Now I'll be thinking of my Mum and Dad, both of whom "are no longer with us", and come up with one of their (each of them) favourite classic movies. My fan dedication film would be The Crimson Kimono dedicated to my Japanese mom. This 1959 noir film is set in Little Tokyo in Los Angeles, and features many of the places my mom would take us kids to, so it brings back memories. The film stars James Shigeta and Glenn Corbett as fellow L.A. Police detectives that fall for the same women, Victoria Shaw (who is white). This Samuel Fuller film has an interesting murder mystery that revolves around race relation issues and interracial relationships (which my parents had as well but 'flipped'). Solid movie with good performances. My dedication would be to my parents and the film would be Battleground because it’s one of the first movies I remember seeing with them as a child. My choice would be Hell Divers (1931), an aviation movie with Clark Gable and Wallace Beery, and I would dedicate it to my grandfather. My grandfather wasn't the most demonstrative person, and kept his feelings and opinions to himself for the most part. He worked nearly his entire adult life for Kodak, and rubbed shoulders with the likes of James Wong Howe, but he never expressed any particular love for movies. He would see them on occasion, but my grandmother enjoyed them more than he did. However, there was one movie that he would mention really liking, and it was Hell Divers. He never said why this specific movie was so special to him; maybe he had a hot date when he saw it. But he mentioned not having seen it since he saw it upon original release. Which brings me to why I would choose it for a TCM Dedication. When TCM first became available in my area, I noticed Hell Divers on the schedule. 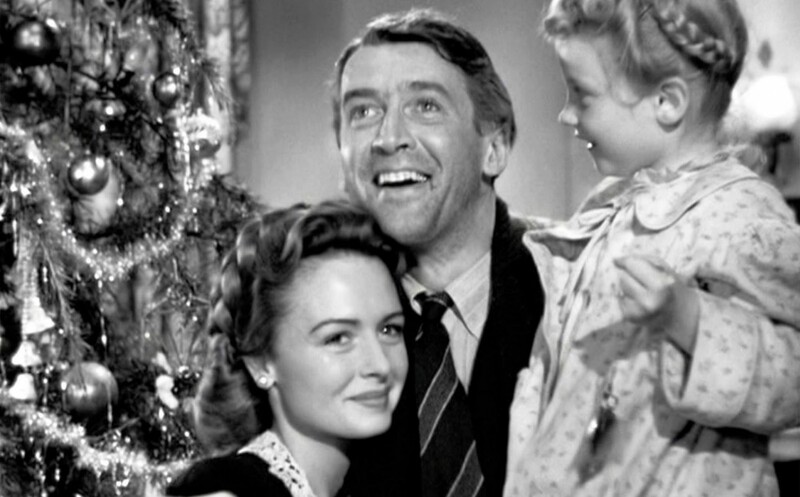 My grandparents didn't have the same cable package that included TCM, so I recorded the movie and took it over to their place and watched it with them. My grandmother wasn't too impressed, but my grandfather had a grin on his face like a little kid, and he was effusively thankful for my having brought the movie over. He passed away not long after, so I'm grateful to TCM for providing a real bonding opportunity with him. P.S. : Watching Hell Divers with him was doubly great after having mistakenly recorded Hell Drivers (1957) and bringing him the tape, leaving it with him because I had to work. He called that evening to ask, "What in the hell was that?!?" 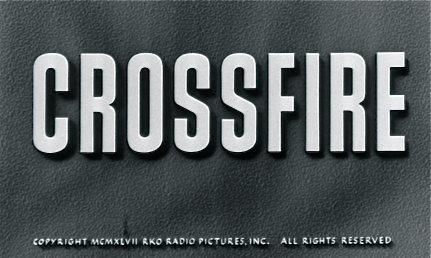 I'd choose CROSSFIRE (1947) and dedicate it to the memory of Edward Dmytryk. 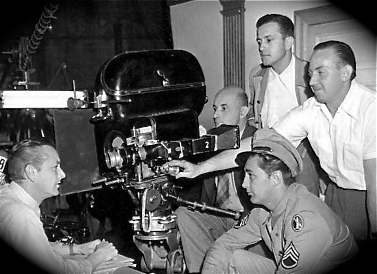 Dmytryk was an esteemed film professor at the University of Southern California in the mid-1990s when I attended school there. He was the director of CROSSFIRE. I didn't have any classes taught by him but we all heard about him and knew him on sight. He was in his eighties, full of energy. He was a very impressive sort of guy. One day, as a favor to another professor (who taught one of my classes) Dmytryk showed up, and he did a lengthy Q & A with us. He and my professor gave us an overview of CROSSFIRE, then they screened the film. Then he took questions afterward. It was just a wonderful afternoon and it opened our neophyte eyes to what it was like for him in the postwar years being under contract to RKO, making film noir, and subsequently his being blacklisted. I remember details that he shared about becoming part of the Hollywood Ten, and details about his personal life. But I much more remember the little things he told us about this film. What went into making it. When a director does that, even the most basic scenes become a lot more meaningful. He was proud the film had been nominated for a Best Picture Oscar. The first and only time a "B" film in the studio era had been up for an Oscar. When you're proud of something you achieve in Hollywood, you want to share it with later generations. That was his idea of film preservation-- passing it down to us, but making sure we had full understanding of how it had been created. So it would inspire our work. I've always remembered that. I have a great nephew who is 8 years old. I would dedicate Speedy from Harold Lloyd. He has no idea what TCM is, or a silent movie. That is a solid choice; hey, and tell him that your T.V. is broken and that is why there is no sound! Ok, that is a little sneaky but my guess is it might enhance his viewing experience. I would dedicate Gentleman Jim to my mother. Mom had always been a movie fan, many of her favourite stars being the British, David Niven, Jack Hawkins and James Mason among others. Above all, though, she had been an admirer of Spencer Tracy. As the years rolled by, though, perhaps because I played his films so often, she became increasingly fond of Errol Flynn, an actor she had once dismissed as a performer. About a month or so before she died very suddenly she asked me to put on some video tapes of Flynn movies. None pleased her more than Gentleman Jim, a high energy feel good film which touched upon history though much of it was a fictitious take on the life of the boxing dandy. It is a film with a very up beat positive feeling and there is a lot of good natured humour in it. Three days after having seen the film Mom was still laughing about some scenes in it and surprised me by saying that her rediscovery of Gentleman Jim now made her think that it was her all time favourite film (beating out Doctor Zhivago which, for years, she had called her favourite movie). So in honour of Mom I would play Gentleman Jim, a film which brought so much laughter and enjoyment into her life towards the end. Interesting choice. I am a big Sam Fuller fan ("The Naked Kiss" is my favorite). I saw "The Crimson Kimono" years ago at NYC revival theater, it's a bit hard to find. It has the usual Fuller ingredients of lurid crime and seedy locations. It was one of Shigeta's best roles and Corbett ( best known for William Castle's "Homicidal" )was good too. It was definitely ahead of it's time. My parents both had a distinctly favorite film; my mother's was THE BISHOP'S WIFE and my father's is VERTIGO. My husband's favorite film was CADDYSHACK. Any of these dedications I would choose, but would have a hard time choosing which one to choose! One evening, my mother was watching a show on TV, and I was curious. Lots of well-dressed people talking and laughing and clapping. I didn't understand a word they were saying, but I kept hearing "Ryans Dotter...Ryans Dotter..."
Me - Ryans Dotter? What's that mean?" Me - Oh....why is she important? Mom - It's a movie. Me - They're going to show it? Mom - No. It's an awards show. Mom (sensing trouble) - Not her, the movie. And we don't know yet if it's going to win. (Minutes later a man was speaking, saying "Thank you" or something). Me - Is that Ryan? My mother finally grabbed me, locked me in my room, and threw away the key. So Mom, I'm sorry I was being such a pest. I dedicate Ryan's Daughter. I know you will enjoy it where you are. The Long, Long Trailer is so much fun because it isn't made up. "That's not the population, but the elevation." I am the same way with Victor/Victoria. It is fun to love a film so much. I would dedicate the film To Each His Own to my Canadian birth mother, who passed away this past Christmas Eve. I made contact with "Ma", as I would come to call her, about 11 years ago, and a few years after first my Mother and then my Father would pass away in the early-2000s. As I'm sure most of you know, To Each His Own (1946) stars Olivia de Havilland as an unwed mother, who through an unfortunate turn of events, loses the opportunity to raise her son, and then years later a reunion between them comes about.